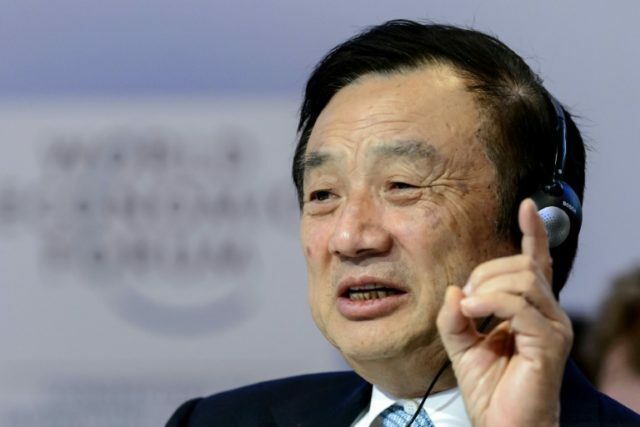 Huawei founder Ren Zhengfei spoke to foreign reporters this week for the first time since his company concluded a disastrous year of cyber-espionage suspicions, bans by the United States and other governments, and Canada’s arrest of Chief Financial Officer Meng Wanzhou, Ren’s daughter. Ren did some damage control for Huawei in his press engagements, striving to project optimism and stressing his corporate independence from the Chinese Communist government. Ren’s presentation of his biography asks foreign audiences to accept that China has changed in profound ways, although comments like his stated refusal to cooperate with government demands for confidential data imply that he understands the sinister aspects of the regime in Beijing. “When it comes to cybersecurity and privacy protection we are committed to side with our customers. We will never harm any nation or any individual,” Ren insisted, seeking to alleviate concerns about Huawei equipment exposing foreign computer networks to Chinese intelligence penetration. “China’s ministry of foreign affairs has officially clarified that no law in China requires any company to install mandatory backdoors. Huawei and me personally have never received any request from any government to provide improper information,” he said, emphasizing that his membership in the Communist Party and history with the PLA would not prevent him from resisting inappropriate demands from his government. Although the Trump administration has been leading the charge against Chinese practices in general and Huawei in particular, Ren praised President Donald Trump and applauded his economic policies. “For President Trump as a person, I still believe he is a great president, in the sense that he was bold to slash taxes. And I think that’s conducive for the development of industries in the United States,” Ren said. Ren also spoke admiringly of several major American corporations, including Apple Computer and Google. He cited Apple as inspiration for resisting government demands to access confidential customer data since Apple refused FBI requests for access to a locked iPhone belonging to one of the San Bernardino jihadis. He pointedly refused to discuss the arrest of his daughter Meng Wanzhou in Canada and the U.S. request to extradite her on charges of financial fraud and violating Iran sanctions, stating that he “trusts” the court systems of Canada and the United States and will await their decisions. At one point he implied his relationship with Meng was not as close as it could be since he spent so much of her youth serving in the Chinese military and then building up Huawei. Ren did admit 2018 was rough for Huawei and 2019 might be worse, although he predicted the company would continue to grow and is far better positioned to survive potential American sanctions than its competitor ZTE, in part because Huawei has invested so heavily in research and development. He expressed confidence that Huawei’s 5G wireless networking technology is still the best and most affordable option and urged the U.S. to reconsider its ban. The Huawei founder also proclaimed admiration for Google and much admiration for Silicon Valley’s investments in cutting-edge technology beyond the computer world. “The timing of my retirement will depend on when Google can invent a new medicine that will allow people to live forever. I’m waiting for that medicine,” Ren quipped. Although the Huawei founder’s approach was largely soothing and reassuring, he displayed a flash of annoyance when comparing paranoia about his company’s products to Luddite ignorance. “Some people in the West believe that Huawei’s equipment is stamped with some sort of ideology. That’s as silly as people smashing textile machines back during the industrial revolution, as they thought advanced textile machines would disrupt the world,” he said. “We only provide equipment to telecom operators, and that equipment doesn’t have an ideology. It is controlled by telecom operators, not by Huawei. So I definitely hope that people do not go back to the old days of the industrial revolution when textile machines were being smashed,” he said.